Ride outside while being indoors. 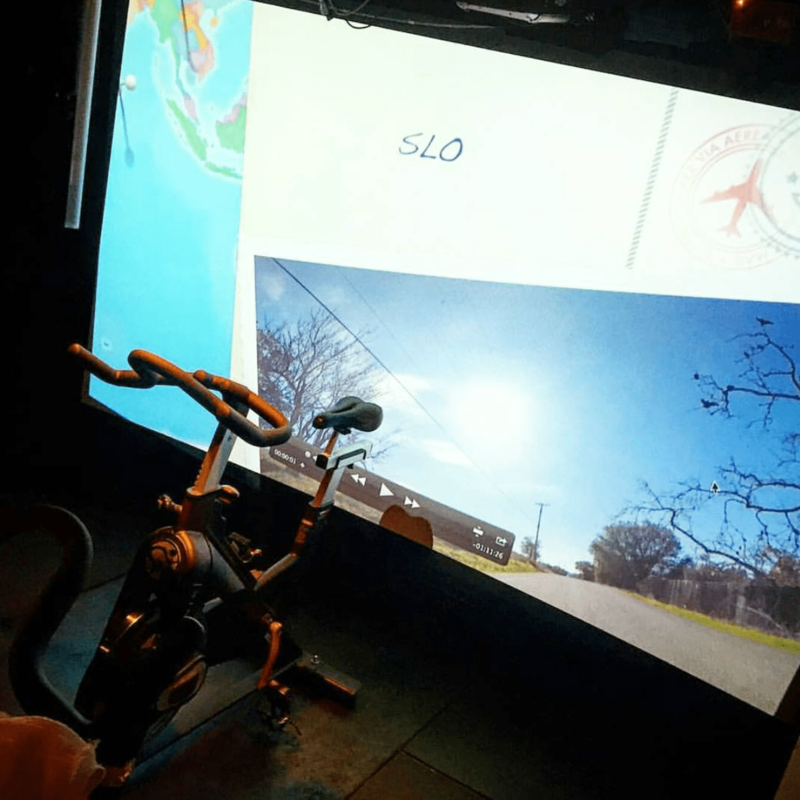 Whether we’re attempting the Tour de France or riding through our local Santa Barbara roads, everything comes to life on our 10-foot wide rounded screen. Break a sweat, travel the world, and still be home in time for dinner! Water required. Towels provided. All levels Welcome!